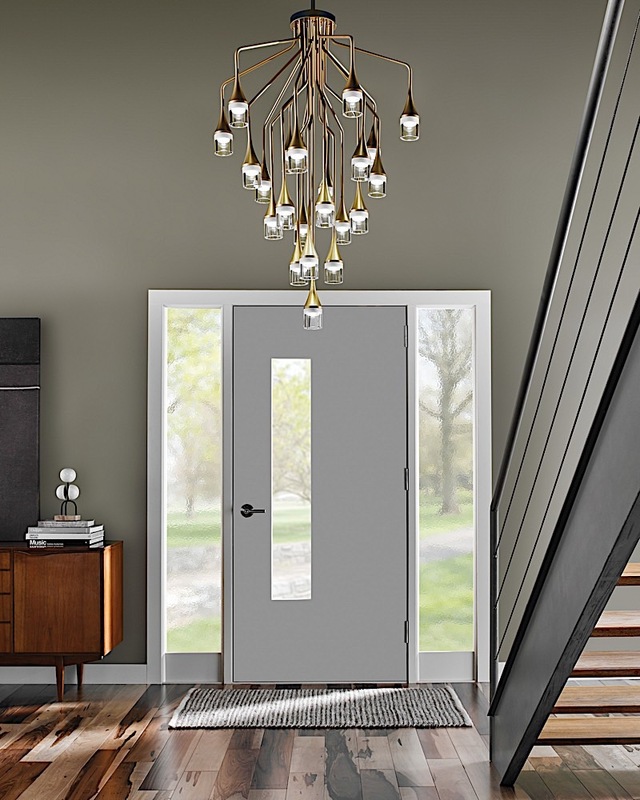 The Patrona is a sophisticated and elegant statement to add to your space. 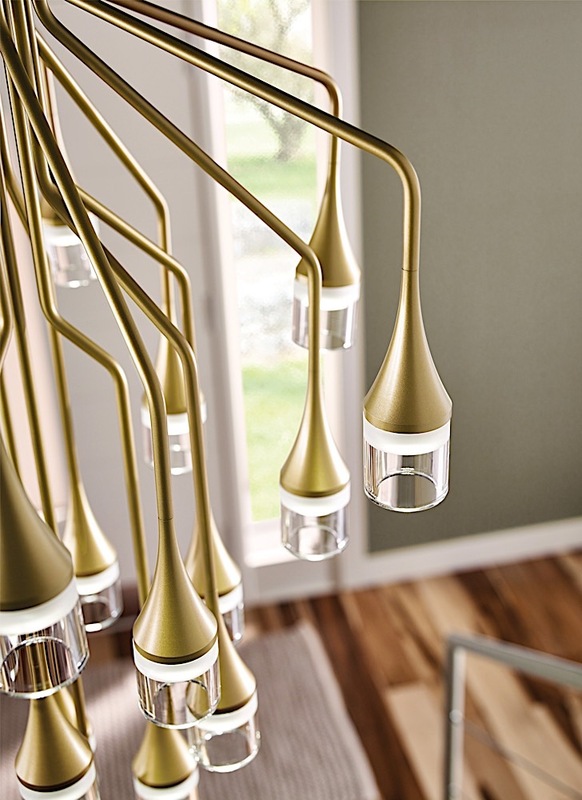 Each sleek crystal shade on the chandlier is illuminated by a gently diffused LED. The stems from tiers which taper at varying angels, and lengths, create a stunning modern interpretation of the classic crystal chandelier. Available in satin gold or satin nickel. 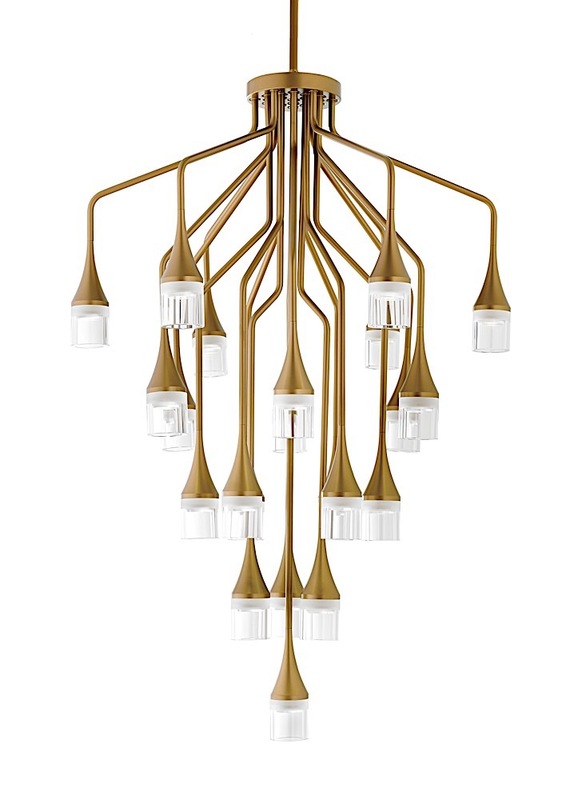 This grand scale chandelier is ideal for dining room or foyer room lighting. Features (22) 3 watt, 3000K LED modules (66 total watts, 2950 total delivered lumens). Fixture provided with sixty inches of variable rigid stems in coordinating finish to customize hanging height options. Includes Two 24" stems & One 12" stem. Dimmable with low-voltage electronic dimmer.